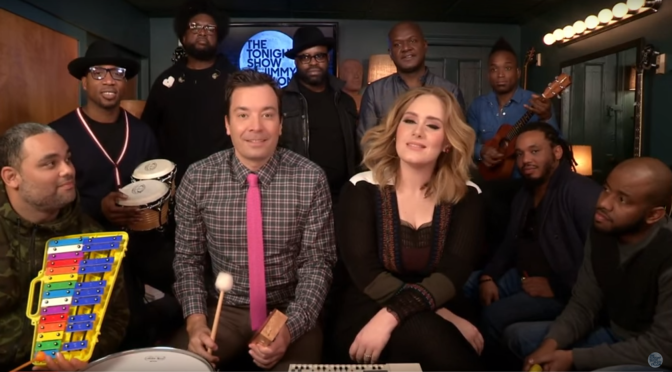 Adele sings “Hello” with Jimmy Fallon and The Roots. Bindi Irwin wins DWTS. Broken Arrow high school’s epic lip dub. John Legend talks to St. Louis wives. Captain America: Civil War trailer.